It’s an eyesore Cape Coral resident Steve Benton can’t seem to get rid of. “They’ve been here Thursday will be three weeks … they haven’t been picked up two weeks in a row,” Benton said. Benton says he and his wife called Waste Pro about their pile of palm fronds five times. “They’ve taken our telephone number and said they would tell their supervisor but nothing’s happened yet,” Benton said. Just down the street, John Casiero has the pile of yard waste sitting across from his house. They’re not the only ones seeing a problem with Waste Pro. 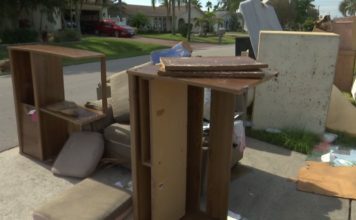 WINK news checked out the complaints from June, and found the city received more than 200 complaints of missed pickups by Waste Pro in Cape Coral. It begs the question: Why hasn’t Waste Pro been fired for not picking up your trash. The city tells WINK News they put the contractor on notice in July. Since then, there has been a drop in complaints — decreasing to 59 missed pickups last month. “If this one can’t abide by the rules that’s put forth, something needs to be done,” Benton said. 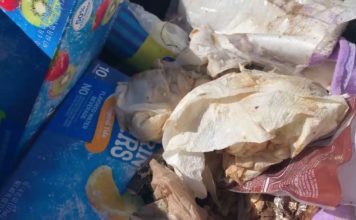 Neighbors like Benton say they think it’s time to kick Waste Pro to the curb. It’s something the city says could be a possibility if they don’t see improvements. “This time it’s just going on three weeks, it’s just too much,” Benton said. Since WINK News started asking questions, Waste Pro actually picked up the yard waste in the Benton’s driveway less than one hour ago. A Cape Coral spokesperson told WINK News the city could consider whether the want to renew their contract with the company. WINK News reached out to Waste Pro, but have yet to receive comment.